Tweaked styling and improved dynamics keep the facelifted Mazda 6 in the game, but it's those naturally aspirated petrol engines that help it stand out. 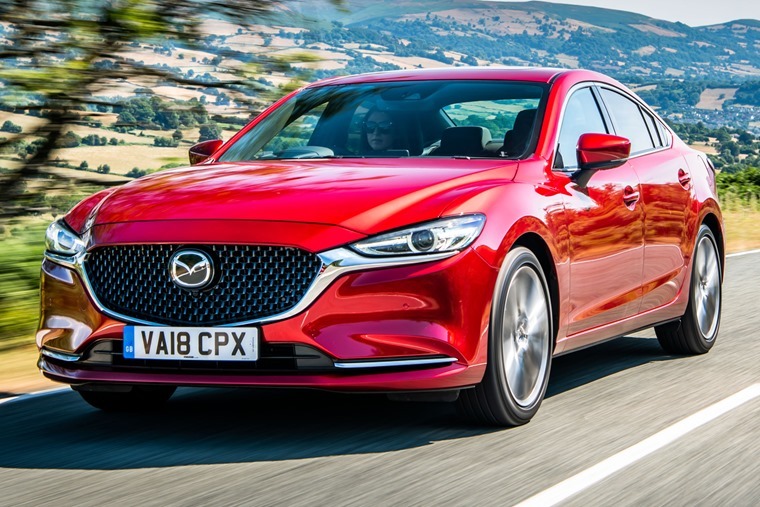 The Mazda 6 has been facelifted for the first time since 2015, although at a glance you’d be forgiven for not noticing. The current generation launched back in 2012 and, despite new competition appearing in the form of the latest Passat and new Insignia Grand Sport, it still chimes with those that are after a sharp drive, quality interior and something that stands out from the crowd. But what does this tweaked version add? It’s nice to see Mazda has gone for “if it ain’t broke, don’t fix it” approach on the outside, because even after a few years, the 6 is still a looker. 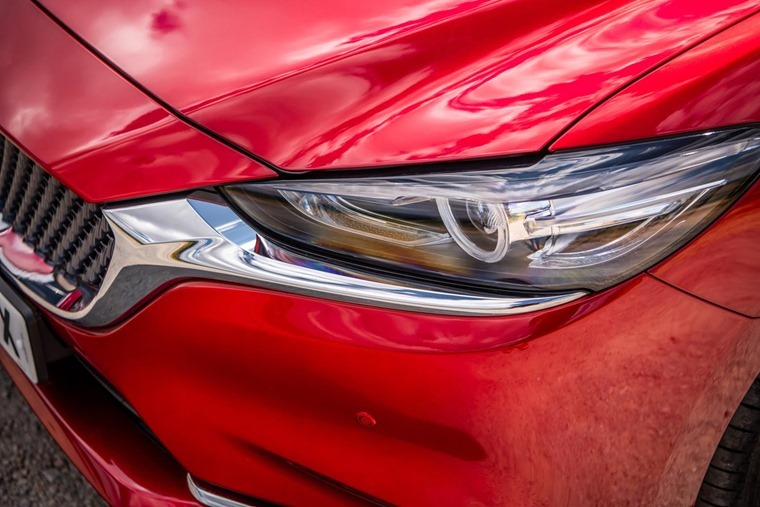 The eagle-eyed will notice a new mesh design on the front grille, while some extra chrome trim has been added underneath the headlights, and the bumpers have had a rework. These minute details apart, it essentially appears the same as its predecessor courtesy of that KODO design language. Rather than a complete redesign, Mazda has simply improved and enhanced the looks and cabin. Inside, it’s much the same story. Rather than a complete redesign, Mazda has simply made lots of tiny little improvements that enhance and improve upon the quality cabin that went before it. The Japanese company has always been one to prioritise function over form, and that shows in its improved ergonomics. The climate control panel has been updated to improve ergonomics, while the driver display is easy to interpret. On high-end models, you’ll find these clear analogue dials are replaced by a 7in digital monitor. Range-topping GT Sport Nav+ comes with loads of kit including electrically adjustable and heated seats, a heated steering wheel, head-up display, a 360-degree camera and an impressive 11-speaker Bose sound system. If there’s one area that lets it down it’s the infotainment. It’s starting to show its age a little. The central 8in touchscreen can also be controlled via a central control dial down in the centre console. The screen and functions, however, feel a little clunky and outdated next to rivals. That said, it’s easy enough to use, the satnav works well, and it’s Apple CarPlay- and Android Auto-ready for the first time, too. The Mazda 6 is a large car, and it has always been in contention for class leader for passenger space. There’ll be no complaints at all from front passengers, and it’s easy for the driver to get comfy. The swooping rear end impedes headroom a little in the back, but there’s lots of legroom, and plump for the top spec model and rear passengers get heated seats. This is a saloon car you’d be happy to do long journeys in. While there is a 60:40-split folding rear bench in the back, a relatively average 480 litres of boot space and a surprisingly small boot-lid aperture mean it doesn’t impress when it comes to load-lugging. Compared to the Skoda Superb it’s not that impressive at all, although if luggage space is a priority, you’ll be going for the Tourer rather than Saloon anyway. Just for reference, however, it’s worth noting the estate’s 522 litres of space is smaller than you get in other rivals. Mazda has focused efforts on improving dynamics and drivetrains. And now on to where the 6 shines: behind the wheel. Mazda has focused efforts on improving dynamics and drivetrains. Tiny tweaks have been made to the suspension and steering and, while it’s difficult to tell unless you step straight out of an old car and into a new one, its sharp and sure-footed feel makes it a surprisingly fun car to drive. It’s more comfortable as well, mainly due to reduced road and wind noise in the cabin at speed. Now, you won’t find any sub-2.0 turbocharged petrol units in the line-up, as is now the trend with most rivals – the 1.4-litre Passat and 1.0-litre Mondeo spring to mind. Instead, you’ve the rather old school option between a 2.0-litre petrol available with 143 bhp and 163bhp respectively, while a new 2.5-litre V6 tops the range and, despite its size, produces just 191bhp. Sounds rather old-hat doesn’t it? But don’t worry. To improve economy, the four-cylinder is equipped with a clever cylinder-deactivation mode, that allows the car to drop two of them between 25mph and 50mph. Combine this with the absence of a turbo, and you’ll easily average above 40mpg. The 163bhp variant we tested averaged more than 41mpg over 500 miles of mixed driving. For a large saloon without a turbo, that’s not bad at all. 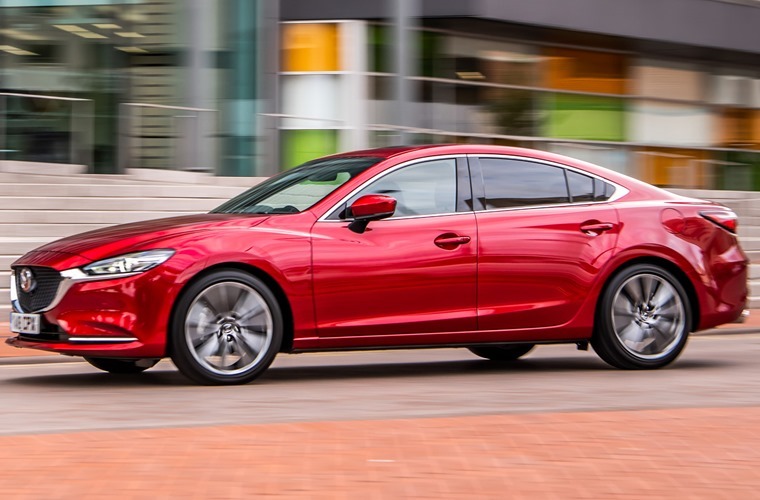 While turbocharged smaller engines are the future for most manufacturers, if you want a reminder of how great a clean and linear power delivery can be, the 2.0-litre Mazda 6 offers exactly that. It’s a breath of fresh air in a slightly unexpected, old-school way. You’ve got to keep the revs up to make swift progress, rather than the effortless (some might say tedious) method of just plonking your foot down in a turbo until something happens. 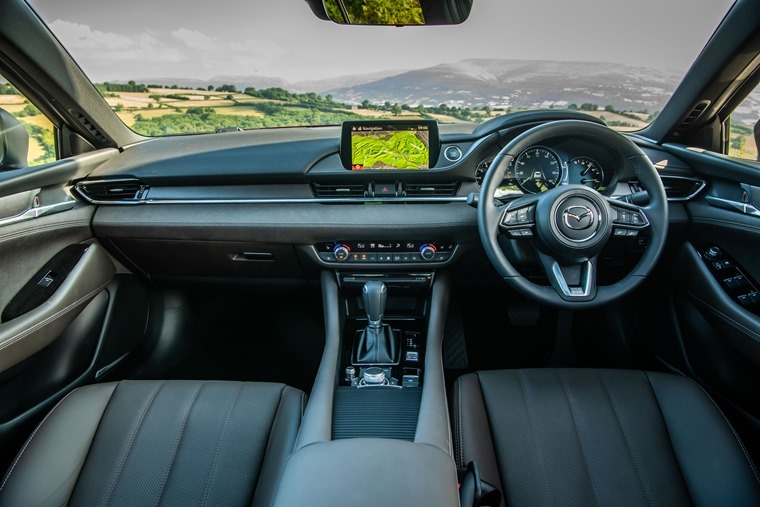 Coupled to a slick six-speed manual gearbox, it makes the Mazda the more enjoyable and driver-focused car, even if it isn’t what you’d call quick. 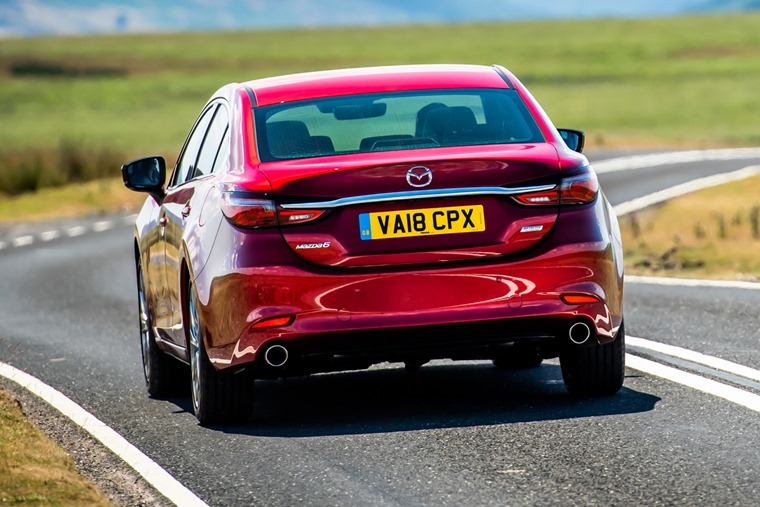 If you want a reminder of how great a clean and linear power delivery can be, the 2.0-litre Mazda 6 offers exactly that. You’ll have to make do with an automatic if you go for the larger V6. Our pick would be the most potent four-cylinder. All that said, if turbocharged torque really is your thing, Mazda’s 2.2-litre diesel remains available with power outputs of 148bhp and 181bhp on offer. So, should you lease one? Monthly rates start from less than £200 per month, so it’s not a bad choice from a fiscal point of view. But then again, neither is the Passat or Mondeo. Or the numerous family-focused SUVs now available for around this price, for that matter. For a little more, you could stretch to an Arteon, or even something like a Mercedes-Benz E-Class. 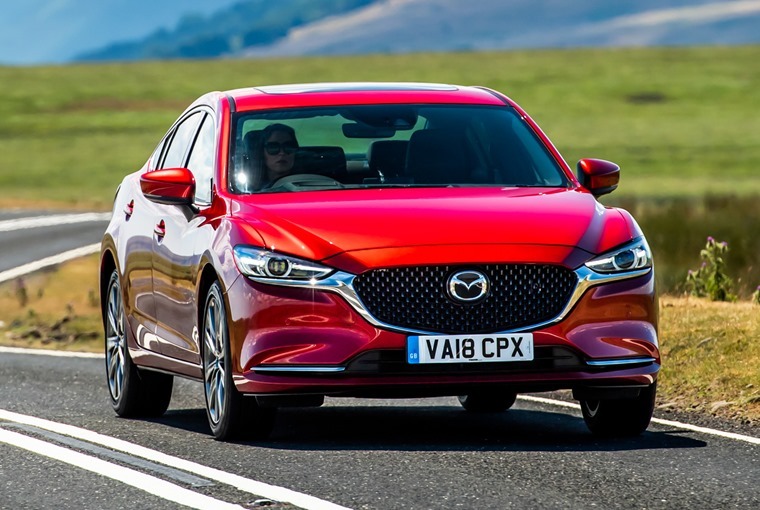 But, if you are after a family saloon car that’s well built, stands out from the crowd and offers an enjoyable if slightly old school driving experience, the Mazda should be top of your list.